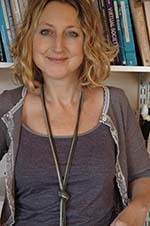 Caroline Haythornthwaite is Director and Professor, School of Library, Archival and Information Studies, The iSchool at The University of British Columbia. She has an international reputation in research on information and knowledge sharing from a social network analysis perspective, and the impact of computer media and the Internet on work, learning and social interaction. Her research includes empirical and theoretical work on social networks and media use addressing online community, distributed knowledge, motivations for participation in crowds and communities, and the development of automated processes for analysis of online learning activity. Current initiatives includes her role as a founding member with the Society for Learning Analytics Research (http://solaresearch.org/) an organization focused on exploring the role and impact of analytics in support of teaching, learning and academic achievement; research on social media and learning supported by the Social Science and Humanities Research Council of Canada; and continued examination of motivations to contribute to open, online initiatives. In 2009-10, she was Leverhulme Trust Visiting Professor at the Institute of Education, University of London presenting and writing on learning networks, resulting in the publication of E-learning Theory and Practice (2011, with Richard Andrews). Other major publications include The Internet in Everyday Life (2002, with Barry Wellman), and The SAGE Handbook of E-learning Research (2007, with Richard Andrews; 2nd edition in progress); and two recent journal special issues: New Media, New Literacies, and New Forms of Learning, International Journal of Learning and Media (2014) and Learning Analytics, American Behavioral Scientist (2013). Further information can be found on her website.